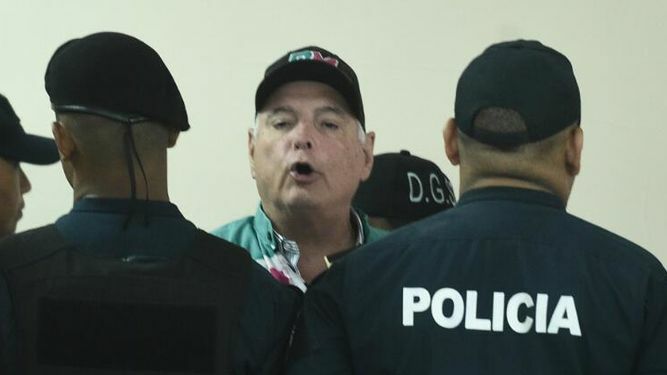 If you were thinking that Panama's former president, Ricardo Martinelli, now a resident of El Renacer Prison while awaiting trial for Embezzlement and illegal surveillance, and violation of the Right to Privacy, is unpopular with Panamanians, he just won a primary, and was the choice of voters in the upcoming election for Deputy in the National Assembly. Amazingly. Martinelli got 44% of the vote, although he was the nation's biggest kleptocrat as president. What's wrong with this picture ? Panama appears to still be mired in the Cult of Personality that afflicts many Latin American countries, but aseriously, Martinelli stole millions, perhaps even billions, spied upon over 150 prominent Panamanians, and even Donald Trump, and they still idolize him in his native country. 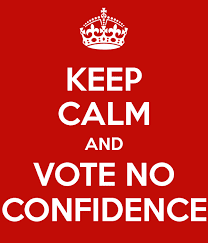 No wonder new foreign investment appears to be going elsewhere; there is a lack of confidence in Panama, which was further validated in the Panama Papers scandal, which has given the country a bad taste in the mouths of foreign businessmen, banking regulators, and compliance officers. Just when you think the moral climate in Panama cannot get any worse, it does. Compliance officers who are charged with the calculation of Country Risk please take note. WILL EUROPE'S SPECIAL PURPOSE VEHICLE FOR TRADING WITH IRAN POSE A DANGER TO US BANKS AND COMPANIES ? The European Union, whose members are determined to allow their businesses to continue trade with the Islamic Republic of Iran, notwithstanding the reimposition of American sanctions, has stated that it intends to form a Special Purpose Vehicle (SPV), whose aim will be to avoid US Dollar-denominated transactions, and thereby sidestep any exposure to American sanctions. While each country must decide for itself if it is in their best interests for its citizens to conduct foreign trade with another nation, there may be dangers for US financial institutions, corporations, and yes, even compliance officers, given that they now are subject to personal liability for negligent acts, what we refer to as the compliance version of malpractice. 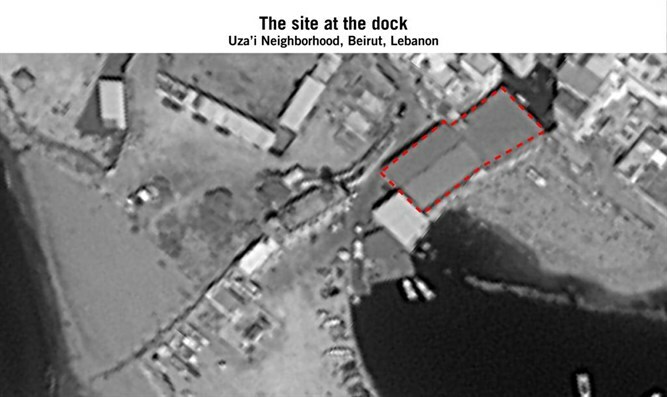 Will Iran, seeking to purchase dual-purpose goods from American manufacturers, have its agents set up purchases with European companies, who are not the true end users, but who then funnel the goods to Iranian-controlled entities, which pay for them, in Euros, using the Special Purpose Vehicle which thus actually facilitates sanctions evasion. 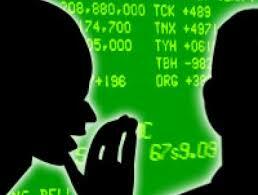 Are US companies, financial institutions, and their compliance officers, potentially at risk ? It is too soon to tell, but in order to avoid American sanctions, close monitoring of sales to European companies, where there is even a slight possibility of diversion to Iran, due to the nature of their products, is mandatory. You can expect that agents of the Iranian Government are plotting to acquire American products, through an indirect scheme through the SPV; be alert. A final note: remember well that, when it comes to Iran sanctions violations exposure, American companies and nationals are held to the highest standard; is the information knowable, meaning that if others can access the data, you are held strictly responsible if you do not have it. This is a mandate for Enhanced Due Diligence, to be sure, so do it, please, lest you sustain a very public regulatory violation. 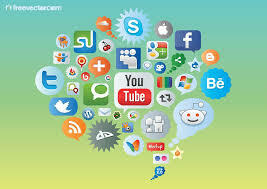 When a new, and obviously affluent, customer applies to open a new account relationship at a financial institution that cater to an international clientele, in New York, London or Miami, is it not now a mandatory component of compliance due diligence that social media and social network resources be accessed, to adequately protect the bank, as well as the compliance officer ? Today's technology, when paired with continuing unrestrained corruption in many parts of the developing world, has created the perfect storm for the financial criminal, dirty Politically Exposed Person (PEP), and terrorist financier They can acquire a completely legitimate forms of identification, such as a passport, in a clean alias, or altered identity that will not expose their true criminal history. Whether it be a passport purchased from a corrupt official in their country, a Citizenship by Investment (CBI/CIP) passport with their real name cleverly (and intentionally inaccurately) transliterated from its original language, or a passport with their identity slightly tweaked to fool compliance searches of databases, the bottom line is that compliance officers are being presented with a passport that will pass scrutiny, allowing the holder to freely open accounts, and to launder criminal proceeds, clean the proceeds of corruption, or provide financial support to terrorist organizations. There is a effective solution to this conundrum; searching all new account clients on social media and social networking sites, and other resources using an effective facial recognition software system. 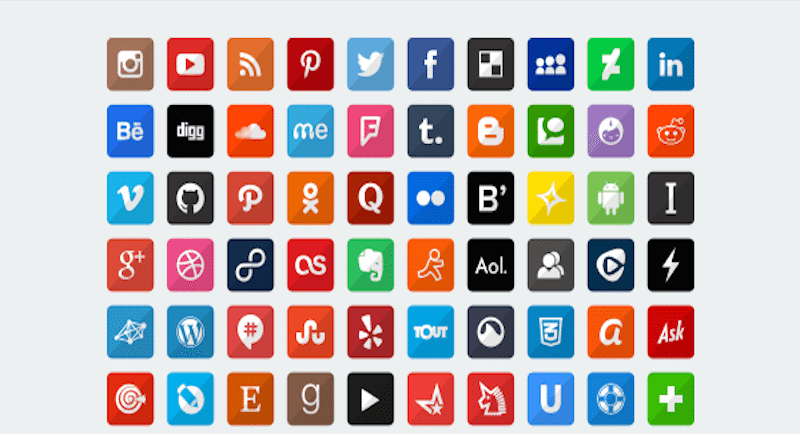 Not only are the social media sites searched for your client's image, the program also scanning images on company websites, charitable and sporting events, CCTV. fraternal organizations, and a wide variety of foreign websites where the client's image was taken and posted without their knowledge. The result is either the confirmation of the customer's identity, and often their occupation as well, or the discovery that the client is not who he or she professes to be. PEP status is often uncovered through this process, as is media that confirms a criminal background or history. Given the unfortunate history of several ambitious CBI jurisdictions, corrupt passport officials, and individuals creating credible documents on Photoshop, it is an uneven playing field, when compliance officers are pitted against financial criminals dedicated to their dirty craft. 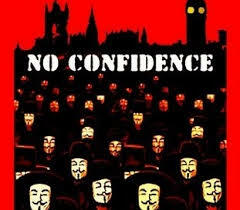 Therefore, it is humbly suggested that there be no Enhanced Due Diligence inquiries of foreign nationals seeking to open accounts, without employing facial recognition software systems that access social media/social networking resources, and all other available sources of images. Such searches will effectively cut through the disinformation, if it was presented as the truth, and expose financial criminals, and others who seek to deceive compliance with a seemingly clean identity. 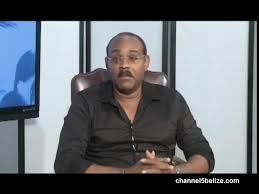 The High Court of Justice in Antigua has entered an order, not supported by any legal authorities, blocking the extradition of the country's former banking regulator, Leroy King, to the United States, to face prosecution for his role in the Stanford International Bank Ponzi scheme. 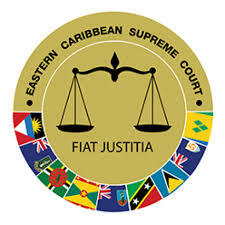 The order prohibits his extradition until he can appeal to the Eastern Caribbean Supreme Court, so that the Court can determine whether he can appeal to the Privy Council. As a dilatory act, designed to delay King's extradition for an additional indefinite period, it is without equal for sheer arrogance, and is further evidence that politics trumps the Rule of Law in Antigua's corrupt courts. Allowing multiple unauthorized (and bogus) bogus appeals is the way they operate, when so instructed by senior officials in government, whose anti-American sentiment surfaces from time to time. 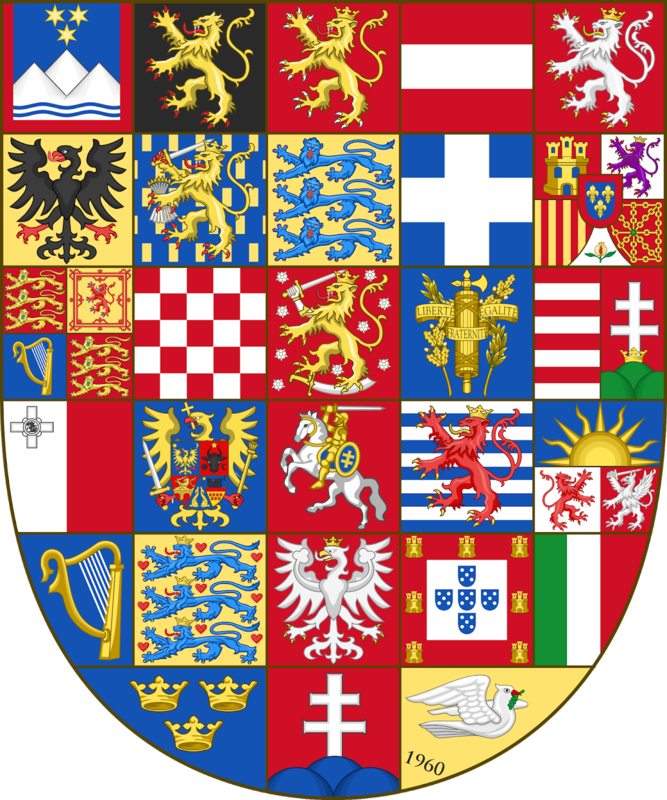 King faces a possible total sentence of one hundred and ten years of imprisoment, should he be convicted in the United States of all pending charges against him. He is believed to have first-hand knowledge of all those senior government officials who accepted bribes and kickbacks from Stanford, in both the current and the previous administrations, that could result in indictments of the power elite in Antigua, which is the reason his extradition has, and will be, foiled at the highest level. 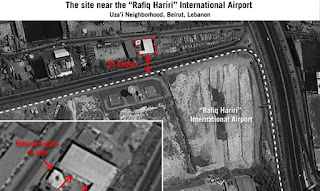 These photos, taken above Beirut-Rafik Harriri International Airport, confirm that Hezbollah, with Iranian technical assistance, has placed underground precision missile production facilities adjacent to the active runway. The purpose of these sites is to upgrade Hezbollah's existing arsenal of Iranian missiles, to give them precision-guidance systems for greater accuracy. Similar factories have been constructed at the Port of Beirut, which is represented by the photographs at the bottom of this article. The significance of these facilities is that they have beern deemed a clear and presentr danger by the State of Israel. Whether they are attacked during a period of what passes for peace in Lebanon, or during an expected Third Lebanon War, the generals at the IDF have warned that the next conflict will affect the entire country of Lebanon, not just the Shi'ite-dominated South. 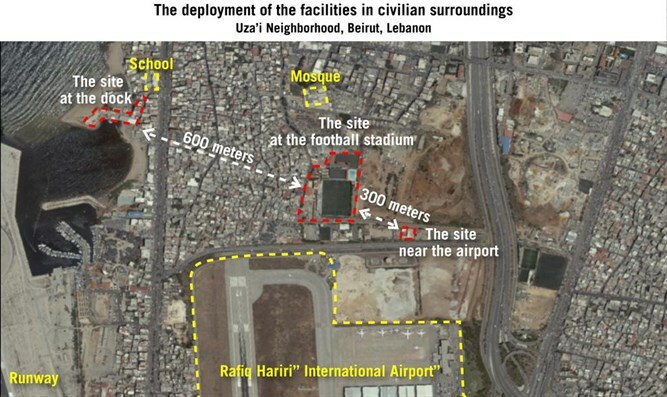 They intend to reduce the country's infrastructure to ruins, due to Lebanese de facto alliance with Hezbollah. This means that the Beirut financial center will most likely not survive any future fill-scsle war between Hezbollah and Israel, at least in the firm we know it now. The brick-and-mortar bank facilities, suspected of facilitating terrorist financing, will be targeted and destroyed. Online banking may be the only asset to survive the conflict, but whether wealthy Middle Eastern businessmen will continue to have faith in their Beirut banks and bankers is doubtful. Those of you who remember Lebanon's Civil War, 1975-1990, know that rebuilding the downtown district took years. it now appears that Lebanon's love affair with Hezbollah will, eventually, repeat that nightmare, and destroy the last remaining significant asset Lebanon has, its banks. So long as Hezbollah threatens Israel's existence, expect that any future conflict will result in the loss of Beirut's banks. Readers who wondered what was in the letter an American official delivered to Antigua & Barbuda PM Gaston Browne, at the United Nations General Assembly meeting this week need puzzle no more. Insiders in Antigua report that it contained a direct threat to sever Antigua's financial institutions from the American financial structure, meaning close out all correspondent relationships, and disconnect Antigua from the Federal Reserve System, thereby blocking all access, due to rampant official misconduct. This may explain the immediate, and very pubic, arrest of former government official Leroy King, on a 2010 extradition warrant that Antigua had previously intentionally evaded, through a variety of dilatory legal maneuvers. King's attorney, David Dorsett, has reportedly filed yet another bogus Constitutional appeal of the extradition order, and claimed that his client cannot be extradited while the appeal is pending, in another in a long list of frivolous actions. Dorsett, it is important to note, is also fighting the extradition of another of his high-profile criminal clients, the Indian fugitive Mehul Choksi, whose case has also been reported extensively on this blog. 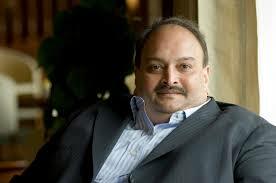 Dorsett claims that Choksi is innocent of the charges pending against him in India, where he is the Most Wanted financial criminal, due to losses in the billions of dollars. Antigua's Ambassador to the United States, Sir Ronald Sanders, has denied that the State Department wrote or delivered such a letter to the Prime Minister, and stated that in any event, protocol requires that such a letter be delivered directly to the ambassador, and that he has not received such a letter. 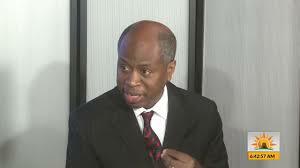 he further stated that his contacts the US State Department awaire of such a letter. 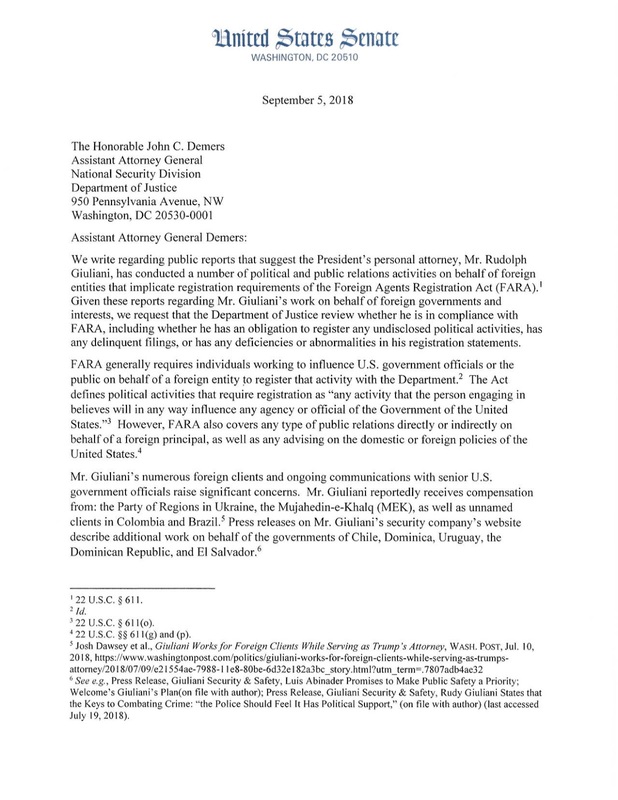 Our article above did not state which department, agency or office of the US Government wrote the letter in question. Corrrupt Antiguan government officials, who have long boasted that the United States would take no action against their nation, are now reportedly fearful that more direct American Government actions, of a financial nature, will be taken against their country for its lack of cooperation in international matters, including extradition, transparency in its CBI and diplomatic passport issuances, and close relationship with known fraudsters and career criminals. Antigua's fragile tourist industry is totally dependent upon the regular arrival of US and Canadian citizens via commercial aviation, and that could be the next target of an Uncle Sam who is quite unhappy with how Antigua is being governed. Look for some additional American government actions, unless Antigua institutes much needed reforms. 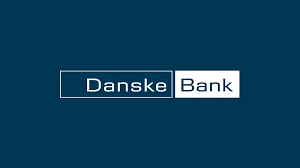 If you require a more detailed study of the money laundering scandal involving the Estonian branch of Danske Bank, you are invited to review the 87-page white paper, by Bruun & Hjejle, a leading Danish law firm, entitled Report on the Non-Resident Portfolio at Danske Bank's Estonian Branch. The complete text may be accessed here. Following a visit to the United Nations yesterday, by a representative of the United States Government, Leroy King, the former chief executive of the Financial Services Regulatory Commission, wanted since 2010 for his role in the Stanford International Bank Ponzi billion dollar scheme, was arrested in Antigua, purportedly for the purposes of his extradition to the USA. 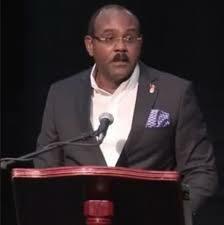 A demand letter was said to have been hand-delivered to Antigua PM Gaston Browne, who was attending the opening of the UN General Assembly, and King was detained shortly thereafter by Antiguan authorities. Neither the contents of the letter, or the identity of the sender, have been made public. Longtime observers of Antiguan politics have pointed out that King is terminally ill, and that he may not survive long enough to be extradited to US District Court in Texas, where he faces what amounts to a life sentence for facilitating Allen Stanford's Ponzi scheme, by obstructing US Government agency investigations into Stanford International Bank, which he ostensibly supervised, as Antigua's chief regulator. The American Ambassador to Antigua and Barbuda, Sir Ronald Sanders, has issued a denial regarding the existance of such a letter, and has stated that no such letter was issued by the United States Department of State. 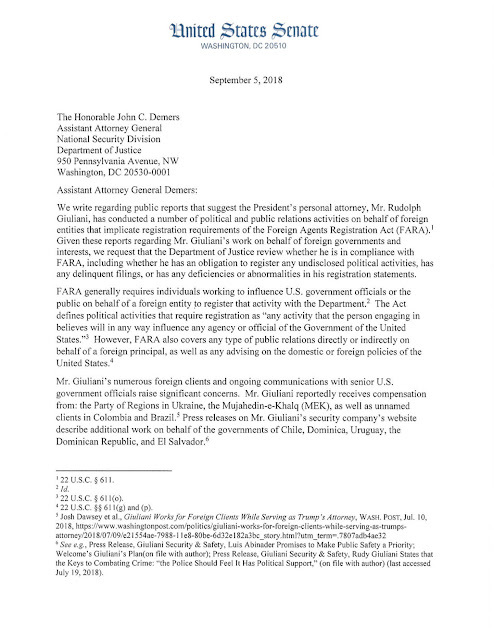 Please note that this article does not state which department, agency or office of the United States Government wrote and issued this letter, as we do not have that information. The eight years that Antiguan courts have allowed King to file and prosecute numerous appeals, none of which have been objectively deemed to have any legal merit, damaged the relationship between the United States and Antigua & Barbuda, and if King is ultimately extradited, that action will hopefully repair that damage. 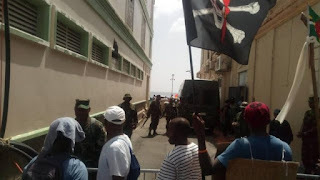 Some Antiguans are pessimistic about whether King will ever be extradited, and we will now have an opportunity to see whether their cynicism regarding Antiguan politics is well-founded. 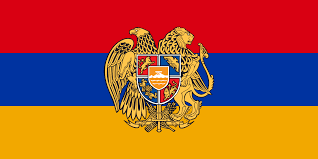 The Ministry of Foreign Affairs of the Republic of Armenia has anounced that it has cancelled two hundred and fifty-four Armenian diplomatic passports; Unfortunately, no list has been made public. While these travel documents are no longer valid, one cannot verify whether an Armenian passport holder is a genuine, accredited, legitimate diplomat, or one who either bought his passport, or who obtained it as a political favor. 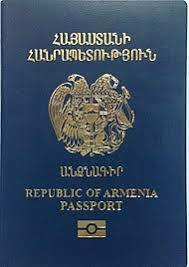 Do not accept Armenian diplomatic passports at face value. The best advice is to treat ALL individuals holding diplomatic passports as bogus, until and unless they can conclusively prove they are actual diplomats. In this day and age, when career criminals routinely buy, for millions of dollars, diplomatic passports from Antigua, Dominica or other tax havens, bank compliance officers, as well as customs & immigration officials, should frankly not accept diplomatic passports as genuine, as many as bogus, and used to facilitate financial crime, terrorist financing, and international sanctions evasion. When investigators believe that an individual who is an employee, professional, adviser, or a person otherwise in possession of non-public inside information about a publicly-traded corporation, and that he illegally passed it along to another, for the purposes of making an illicit profit, through stock trading, connecting dots between the insider and the "Tippee" is often difficult, if not close to impossible. 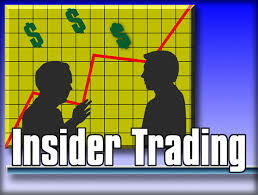 Insider Trading charges, where no links cane be made between the parties, are often not brought, due to the probability that a conviction cannot be obtained. Some insiders go to great lengths to avoid the traditional means of communication, knowing that the use of telephone, text, Internet email, and even written communications may later be intercepted or read by investigators. 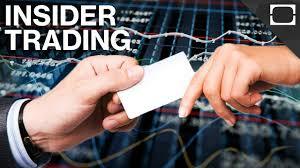 Add to this a fact pattern where there is no known direct or indirect connection between the insider and any of the individuals who made huge profits by trading stock of a company at a specific time, and proving any connection seems impossible. Recent developments in technology have made the investigators' task much easier. 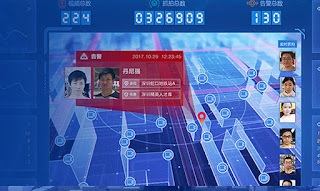 The employment of facial recognition software platforms, which seek out images of the insider in social media, social networking and other websites, can result in a successful investigation where in earlier times, no connection could be found, notwithstanding how many man-hours the investigators put in. Two parties who have no direct or obvious ties or links can often be paired through the application of facial recognition programs to Facebook and other social media sites, where images of the parties, often taken without their knowledge, are retrtieved by the program. Be they family social events, photos taken by friends, by co-workers, at professional and business events, lectures and seminars, fraternal association events, school and military reunions, all are searchable through facial recognition platforms. The insider and the Tippee may have a longtime personal reltaionship, neither obvious nor apparent to even the most detailed investigation, but which is revealed through images buried on social media sites, and extracted during a search. Perhaps the connection by and between the two parties goes back many years, through former employment or prior family relationship, not known at the present time, nor discoverable using conventional investigative techniques, but now found, due to this highly effective method of inquiry into links between individuals. I would wager that Federal investigations of Insider Trading allegations will now have a higher percentage of indictments brought, based upon the proper application of facial recognition software programs to social media and other Internet resources. 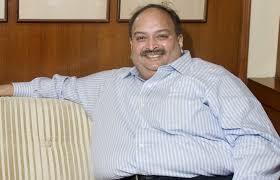 Rather than voluntarily returning home to his native India, to face justice in his pending billion dollar fraud case Mehul "CBI" Choksi (so named because of his CBI Antigua passport, obtained when he was already known to have been involved in criminal activity) instead is seeking to have his non-bailable arrest warrant cancelled, to remove the threat of extradition to India. His grounds are that he fears his life will be in danger, should he be returned to India, from not only other detained inmates, but from his victims, whom he alleges have threatened his life on television and radio, ostensibly to send a message to deter future potential fraudsters and scammers. His argument fails miserably; the Government of India should not give Choksi a free pass for his crimes, simply because he might be in danger while held in custody. The rights of his victims to justice trump any possible phantom concerns that Choksi might have for his safety. How does solitary confinement, pending trial sound, Mr. Choksi ? Actually, we have the sovereign Government of Antigua & Barbuda to thank for all this nonsense. Choksi was given a CBI passport, when even the most inexperienced compliance officer performing due diligence would have found his suspicious activities online. 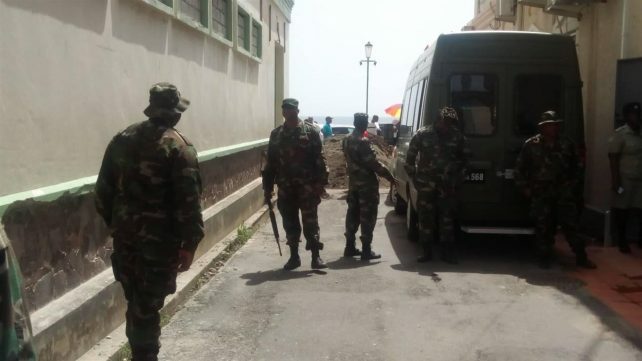 Antigua's dilatory conduct, in denying India their most wanted fugitive, so that it can bleed him of his illicit wealth, is just one more illustration of the actions of a morally bankrupt government, led by its dodgy Prime Minister, Gaston Browne. He, of all people, is responsible for protecting Choksi by giving him his Antigua CBI passport, and indefinitely delaying his extradition proceedings. WHY DID DOMINICA HIRE TRUMP'S LAWYER AS A LOBBYIST IN WASHINGTON ? 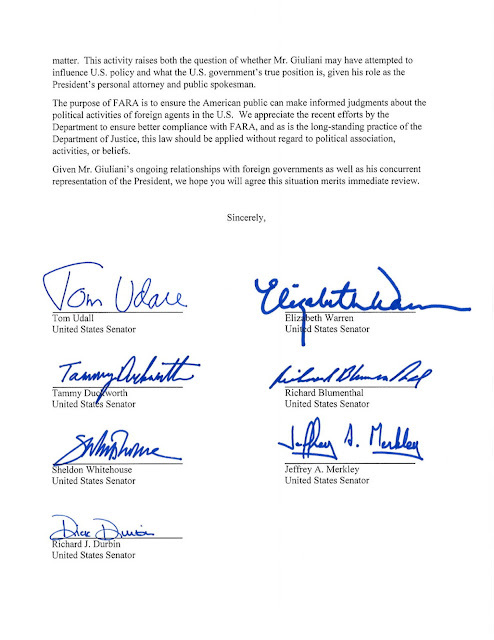 It seems that a number of United States Senators, whose signatures appear at the end of their letter below, want to know precisely what Rudolph Giuliani, former New York City major, ex-United States Attorney, and personal attorney and pitchman to President Donald Trump, is doing for the Commonwealth of Dominica, and certain other countries in the Western Hemisphere. 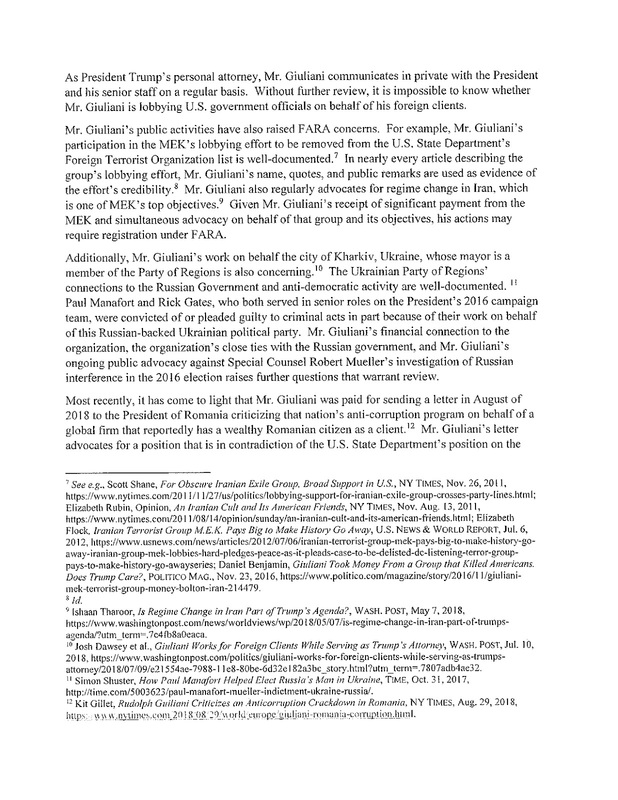 Is Giuliani violating the Foreign Agents Registration Act (FARA) ? Did Anthony Astaphan engage him, and on what authority ? How much has Giuliani and his firm been paid ? We are really wondering why it was necessary to retain such a Washington insider to lobby before the United States government, and for what important subject ? 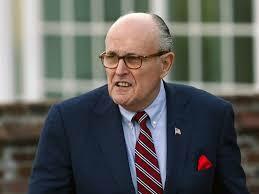 At this point, you may wish to remember that Mr. Giuliani was one of the team of attorneys who represented Reza Zarrab, the Iranian oil sanctions evader, whose partner is imprisoned Iranian intelligence agent /oil seller Alireza Monfared. That's the Monfared who has a Dominica diplomatic passport, and is a close associate of Dominica Prime Minister Roosevelt Skerrit's Labour Government, and who was seized in the Dominican Republic for his role in the $9bn theft of oil profits from Iran. Is Giuliani working for people in the Government of Dominica who were involved in the Dominica-flagged oil tankers that Monfared employed off the coast of Labuan, and in laundering illegal Iranian oil profits, or is he trying to get immunity from prosecution for Skerrit in the New York case ? We cannot say, but we hope that the US Senate can find the answers. The special visa program, administered by the Province of Quebec, known as the Quebec Immigrant Investor Program, or QIIP, is fatally flawed, due to the fact that program administrators either failed to conduct effective due diligence upon its mainly Iranian and Chinese appplicants or were pressured into ignoring red flags clearly indicating that their investment "capital" were the proceeds of crime or corruption. Two-thirds of the approved applicants were from Mainland China, the rest were Iranians or wealthy Arabs who could not document the source of their wealth. Apparently, the program, Investment Quebec, was largely operated through overseas offices, including one in Hong Kong that was understaffed and overworked, and thus able to conduct only minimal efforts to complete due diligence, resulting in a failed product that never truly confirmed applicants' employment or source of funds. Former staff members have stated that they were under orders to approve applicants, due to Provincial financial goals. Although the stated intention was to have the QIIP applicants reside in Quebec, once they arrived in Canada, they were free to relocate elsewhere; 85% currently live in Ontario and British Columbia. To add to the problem, some Canada-based independent consultant firms "augmented" the information contained in their clients' applications, to insure that they passed scrutiny, and assisted with the movement of dirty cash into Canada, whose banks are notorious for ignoring the signs of illicit wealth. A number of Canadian consultancies that placed clients under QIIP are reportedly under criminal investigation by the authorities. 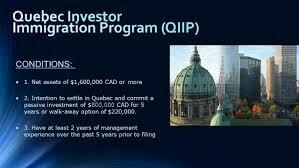 Did the QIIP program allow criminal elements to relocate to Canada, and launder their illicit assets in the process ? Most immigration consultants consider it to be a failure, though Investment Quebec deem it a success, due to the influx of capital into the province. We cannot share that conclusion, and fear that Quebec's new "residents," who can file for citizenship after only a few short years, may represent a hidden danger to Canada, and cast a dark cloud upon its future. Malta is back in the news about its CBI program, and again, the news is not good. 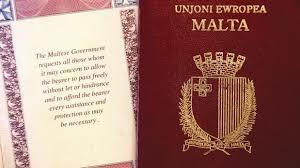 Melnikov Pavel Eduardovich, a Russian national arrested in Finland, allegedly the head of a crime syndicate, has held citizenship in Malta by virtue of a CBI passport he purchased in 2016. 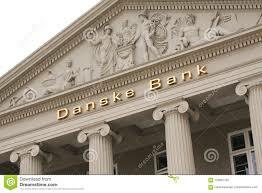 The principal activity of his organization appears to be the purchase of high-end real estate in Scandinavia. He was using his passport, which gives him ready visa-free access to the countries of the European Union, to reportedly operate a €10m money laundering ring. A large number of Russian organized crime figures have allegedly bought their way into the EU, using the Maltese CBI program, which has come under serious scrutiny in recent years, as Opposition leaders and local whistle blowers in Malta have accused the government of accepting applicants whose background and activities should have made them unsuitable for passports that give them access to the Schengen Zone. 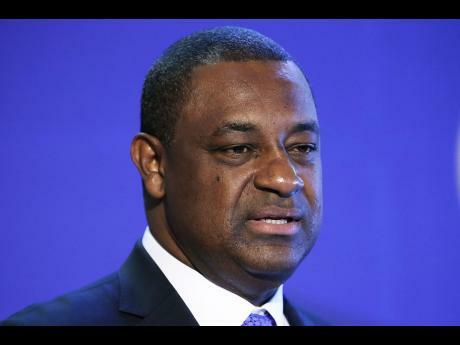 Jeffrey Webb, the former Vice President of FIFA, and the former president of CONCACAF, has obtained a highly unusual eighth postponement of his sentencing date, for six additional months, to March 2019. he pled guilty, back in in November 2015, to Money Laundering Conspiracy, Wire Fraud and Racketeering. He was originally charged in a 47-page indictment. The problem is that the defendant has been under House Arrest (home confinement) for more than three years, with few restrictions.We understand that, as an important cooperating witness, we must be granted some privileges, but three years in a house, in the United States, which he purchased with the proceeds of crime? Something's wrong with this picture. I don't care how much Substantial Assistance he provided three years ago, and at trials of other defendants, what is he still doing living in a luxury home in America, rather than serving his sentence ? He is a Caymanian, are we not rewarding him, by allowing him to continue to enjoy the benefits of his American residence, rather than imprisoning him ? He remains a wanted man in the Cayman Islands, in connection with other, unrelated, but serious, financial crimes. We cannot has confidence in the American criminal justice system when we see abuses like this. He was a major playert in the FIFA scandal, which brought the entire soccer world into disrepute. Sentence the man already, and let him work off the sentence through subsequent cooperation, and get him into Federal custody. Next, he will be seeking to apply his home confinement time to his sentence. IF GOVERNMENT FALLS IN DOMINICA, WILL CBI PROGRAM BE AXED ? 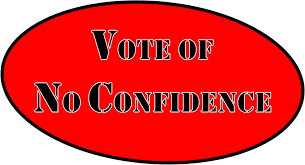 A Parliamentary Motion of No Confidence has been filed in the House of Assembly of the Commonwealth of Dominica, by Opposition leader Lennox Linton, against the country's sitting Prime Minister, Roosevelt Skerrit. 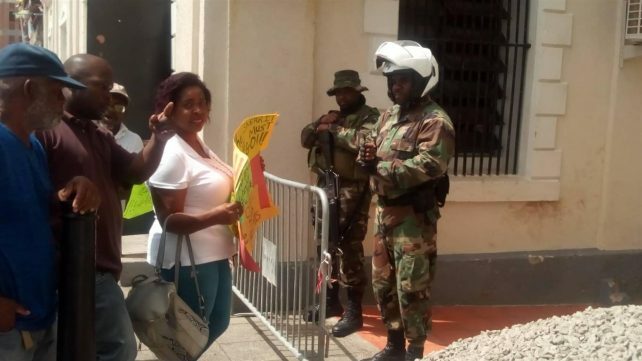 Rampant unrestrained corruption of senior government officials, especially in the Citizenship by Investment (CBI) program, exerting undue influence upon the country's judiciary, armed suppresion of peaceful protest and dissent, and a descent from real democracy into quasi-dictatorship, are just a few of the complaints the people of Dominica have against their Prime Minister; No wonder they want him removed. The Concerned Citizens Movement continues to conduct peaceful public protest, outside of the Assembly chambers, closely guarded by the armed paramilitary police, clad in camouflage battledress, who have deployed a dozen Chinese armored vehicles to the area, and closed streets, in an effort to control the protests. 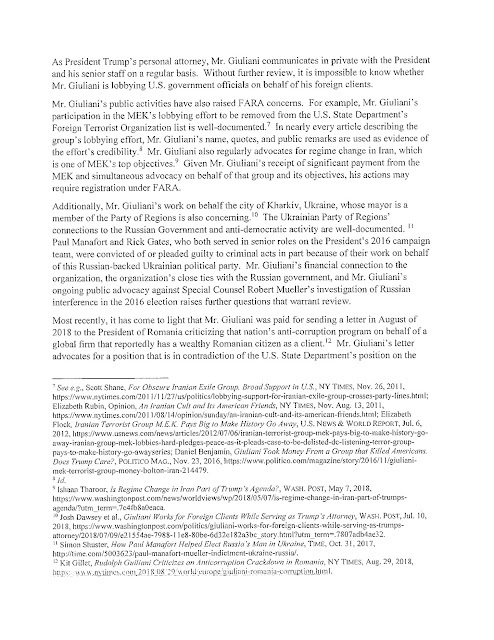 Readers who read our recent article on the political charges brought against Opposition leaders, regarding alleged efforts for regime change that occurred after protests in 2017, the Court has set that matter for hearing on March 28, 2019; charges were only made available a couple of days ago, raising additional questions about whether the charges are purely political, and have no legal or factual basis. Disclosure of Discovery must be made by the last business day in December, 2018, according to the asigned magistrate judge. The most pressing question is whether, if Skerrit is removed as PM, will Dominica's corrupt Citizenship by Investment (CBI/CIP) program be scrapped ? Many of the recipients of those CBI passports have been career criminals or sanctions evaders, subsequently arrested for criminal acts by law enforcement agencies in other countries. Dominica passports, held by native-born Dominicans, have become regarded as high-risk by customs and immigrations officers in Western Europe and North America, and there is a serious concern that the continued issuance of CBI passports to criminals by Dominica will result in more interrogations of citizens upon arrival abroad, baggage inspections, and extensive questioning about the purpose of a visit. will the CBI program be terminated under the next government in Dominica ? Protestors display the Jolly Roger at High Court. Peaceful protestors in front of Dominica's High Court, where leading Opposition figures face a trial tomorrow on trumped-up charges that they engineered a failed coup d'etat in 2017, face off against Dominica's paramilitary police, in camouflage fatigues, complete with assault rifles and Chinese armored cars. Opposition leaders, including Lennox Linton and Joshua Francis, were required to report to Magistrate's Court, in advance of tomorrow's trial. Sources inside Dominica's legal community have reported that attorneys from Trinidad and Tobago were summoned to Roseau by Government, and secretly sworn in, to allow them to conduct a criminal prosecution that most legal experts claim is politically motivated, brought solely for the purpose of removing Opposition leaders' voices from the ongoing conversation about rampant govermental corruption in Dominica, by imprisoning them on bogus charges. There was no effort to overthrow the government. Dominicans are also outraged that the Government is seeking to pass legislation, on a fast-track basis, which will essentially eliminate Freedom of Speech, of Peaceful Assembly, and of Association, and massive protests are expected tomorrow, when the trial commences. Photographs by Dominica News Online. 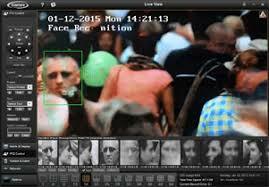 The unveiling recently of a program that can block facial recognition software /AI identification of images received a lot of industry attention, but we should be mindful of limitations which seriously curb its effectiveness, as against law enforcement investigators or compliance officers. The new product was created by individuals who were unable to post their photographs on social media websites, due to the sensitive nature of their military occupations. After leaving the service, they formed a company, ID-D, whose product can digitally alter images, to render them unreadable by facial recognition/Artificial Intelligence algorithms. To an untrained eye, an image so rendered reportedly does not appear to have been altered, but it cannot be read or accessed by an FR program. The effectiveness of the product, which has multiple potential applications for corporations and governmental entities, is limited to those images to which it has been applied. 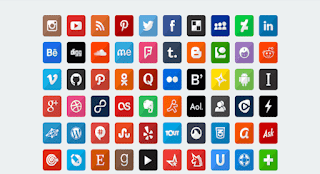 Compliance officers, or law enforcement investigators, employing FR programs to identify targets, are accessing images in every category, from social media and social networking images taken of, but not by, the target, news and CCTV footage, and official and government issue photos. none of these images were posted by the target, and he cannot alter them. Generally, we are not even aware that many of these photos are being taken, or they may have been taken in the past, and are available to investigators. Therefore, all the untouched inages of the target, on the 'web or elsewhere, will be identified by the FR program user. Only the altered photos are blocked. Given these limitations, and for the appropriate purposes, the program can be an effective anti-crime tool, but it will never defeat the use of FR in criminal or civil investigations. Leroy King, the last major player not yet tried in the Stanford International Bank billion dollar Ponzi scheme In the US, has lost his latest appeal of an extradition order filed in Antigua.. 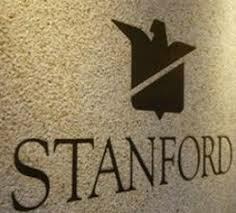 The Eastern Caribbean Supreme Court has rendered a decision adverse to King, who, as Antigua's banking regulator, allegedly conspired with convicted Ponzi schemer R Allen Stanford, to hide the true nature of Stanford International Bank's criminal activities from US regulators. King's extradition request, filed by the United States, has been pending since 2009. His multiple appeals, judged by many legal observers to be dilatory and without any merit, have been curiously allowed by the courts, giving rise to allegations of systemic governmental interference with the process, reportedly due to allegations of his personal knowledge of facts involving other, as yet uncharged, Antiguans who accepted massive bribes and kickbacks from Stanford, who is now serving what amounts to a life sentence in an American prison. The fact that King's attorney, David Dorsett, also represents Mehul "CBI" Choksi, the Indian bilionaire fugitive who is also fighting extradition, has led many to question whether any major criminal defendant can ever be extradited from Antigua, where the Rule of Law seems to repeatedly been ignored by courts that allow fugitives to file repeated frivolous appeals, and where the same attorneys seems to be consistently successful. when the law and the facts are against their clients. If you think that the utility of facial recognition software platforms for AML compliance is limited to searching social media and social networking sites, you are misinformed. 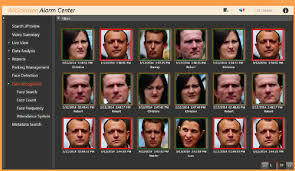 Facepoint, the Paris-based firm that combines facial recognition technology with Artificial Intelligence, has its own extensive proprietary database of what it calls Heightened Risk Individuals, and also extracts image data from a wide variety of sources, including those in the Cloud, behind paywalls, and on government sites. (1) Images from corporate websites can identify your target's true identity, his work associates (who may now be his partners in crime), and the source of any special skills or technical expertise, which may bear upon present criminal activity. (2) Evidence that your client, though claiming to be a private businessman, may actually be a military officer, government executive, director of NGO or nonprofit or even a PEP, could be adduced from his presence in group photos. (3) Fraternal, social, professional or nonprofit association website images might cause you to classify him as a PEP, or alternatively, rule him out as one. 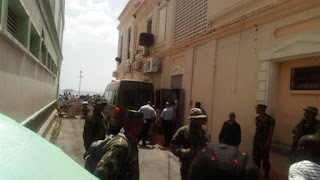 (4) Reports of financial crimes, in faraway places, yet covered by local media there, may prove instructive, even if no conviction is obtained, due to flight to avoid prosecution, or the payment or bribes to insure dismissal of all chaeges. (5) Investigative news stories, detailing criminal organizations, could return images tagged with your target's name, or that or a close associate, requiring further inquiry. The large number of images available to the compliance officer, through facial recognition software programs, each represent a potentially fruitful avenue of inquiry when performing Enhanced Due Diligence investigations. Mehul Choksi, Antigua's Poster Boy for all that is wrong with his "adopted" country's CBI program, ia not shy about detailing all his defenses, his bogus reasons why he should not face justice in a court of law in India. They are either an insult to our intelligence, or a cruel joke being played upon his victims in India. (1) I have a cardiac condition, and decided to see foreign doctors for medical evaluation. (2) I cannot travel to India for medical reasons; I need bed rest, and continuous monitoring and medical supervision. (3) If I return to India, I may be lynched in prison. (4) My assets were seized, and I cannot afford an attorney to defend me. (5) My server, with all my documents, has been seized, and therefore I cannot defend myself in court. 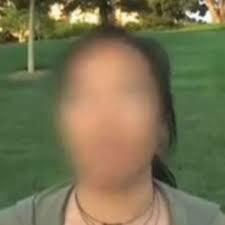 (6) I am the victim of a political prosecution in India. (7) I took Antiguan citizenship (CBI/CIP) to expand my business. 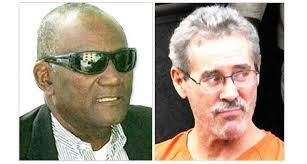 (8) My attorney is contesting Antigua's right to deport me pursuant to Commonwealth extradition laws. Note that Choksi, accompanied by his two bodyguards (who are also fugitive Leroy King's bodyguards), is gorging himself in Antigua's empty restaurants, and freely moving around town. He is neither chronically ill nor infirm. 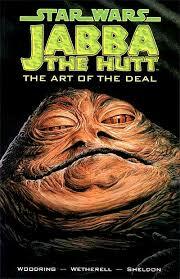 His corpulent appearance is not slowing him down, as he enjoys his ill-gotten gains. He's laughing all the way to Antigua's banks, through which he reportedly moved multi-million dollar sums, all of which are the proceeds of crime, as he, and other dodgy CBI passport holders drive Antigua further towards international Blacklists in the eyes of North American and EU governments.